with Joe Belock live on the radio! Crossroads Music Festival: with tons of great bands! on Di's "Full on Friday" show! Madison, WI "Rock for the Whisper"
Asbury Lanes Asbury Park, NJ P.I.C. Live on 3 Chord Monte! Copyright 2003-2018 O'Brothers' Records, LLC. All Rights Reserved. 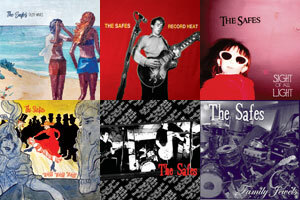 The Safes® is a Registered Trademark of O'Brothers' Records, LLC.